The media want a story – and are not about giving you free advertising – so how can you turn yourself into a great storyteller? One key technique involves something that might go against your whole notion of doing PR. Don’t mention yourself. Yes, you heard right. Don’t mention yourself (name, organisation, event, etc) in the first paragraph of your media release or message. This is possibly the key discipline you need to grasp for shaping a story. Too many people are so desperate for coverage that their offerings are also desperate. They are shameless plugs, and get rejected as such. There might be a story hiding in there. But if you can’t present it, the media haven’t got time to find it for you. They’ve got real stories they’re already pursuing. As a general rule of writing for the media, don’t plug yourself until the second paragraph. Use the headline and the hook (opening paragraph) to flag your exciting, compelling story. The pretext, the precedence, the development, the reason, the call to action. The point of interest, the point of difference, the point of conflict – whatever it might be. Then tie yourself (name, organisation, event, etc) as the source of that information in the second paragraph. Now you’re telling stories, not writing self-advertisements that will get lost in the hail of junk. This is also a great technique for deciding how strong your angle really is. It is the story that takes your name with it, and by “pulling the plug” you are actually writing news copy – the way a journalist (or producer) would. 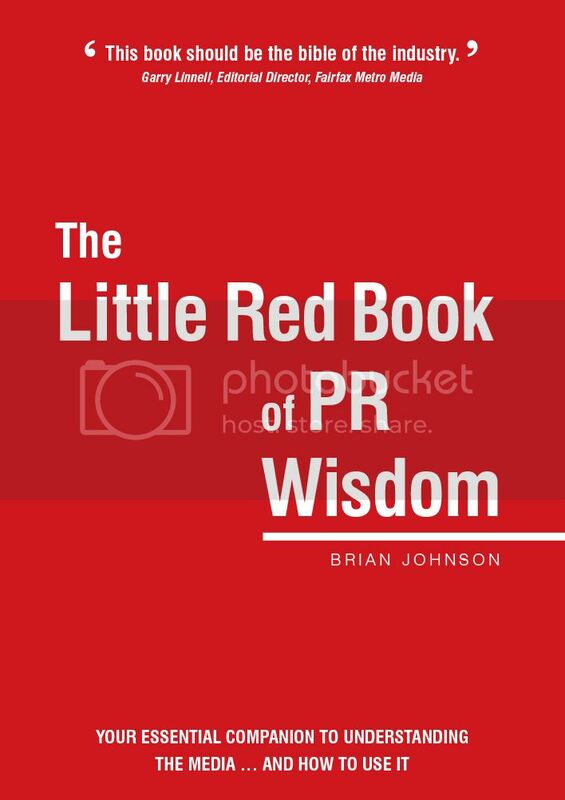 This advice is drawn from The Little Red Book of PR Wisdom by Brian Johnson, an award-winning journalist and leading PR practitioner. To develop your own online newsroom, with all the features you need to communicate directly with journalists and bloggers, visit NewsMaker.